Looking for a brunch date? You want someone confident, yet relaxed and with individual style. A menu of flowing conversation which satisfies your hunger. Lives local and is free this weekend. I’d like to introduce you to Mr Buckley. He’s a real charmer and rather delicious, you’ll see. A little too hip for his Hackney Road neighbours, Mr Buckley’s is a welcome revere from the chicken shops and offies which line this busy street. And just a short stroll from Columbia Rd a perfect brunch, sheltering you from the throng. Dishing up an all day brunch menu, he really does know how to impress a girl. And the calibre is a lot higher than your typical London lad. 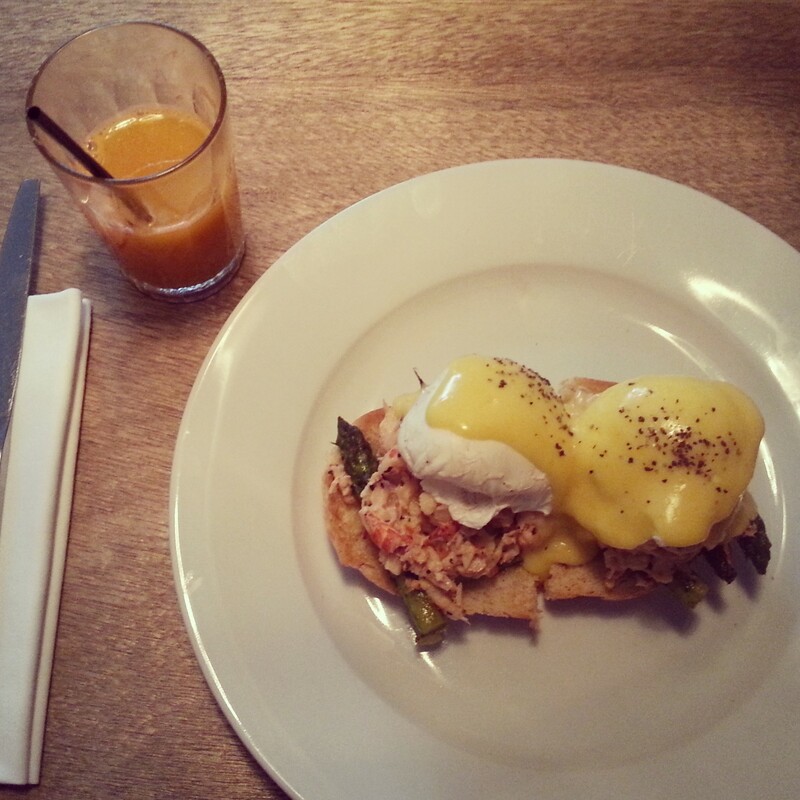 Perhaps the lobster, crab and asparagus eggs benedict is just showing off. He had me at lobster. If you’re looking for something a little more robust, perhaps your nursing the effects of the night before. This is where Mr Buckley really comes into his own, a true gentleman. 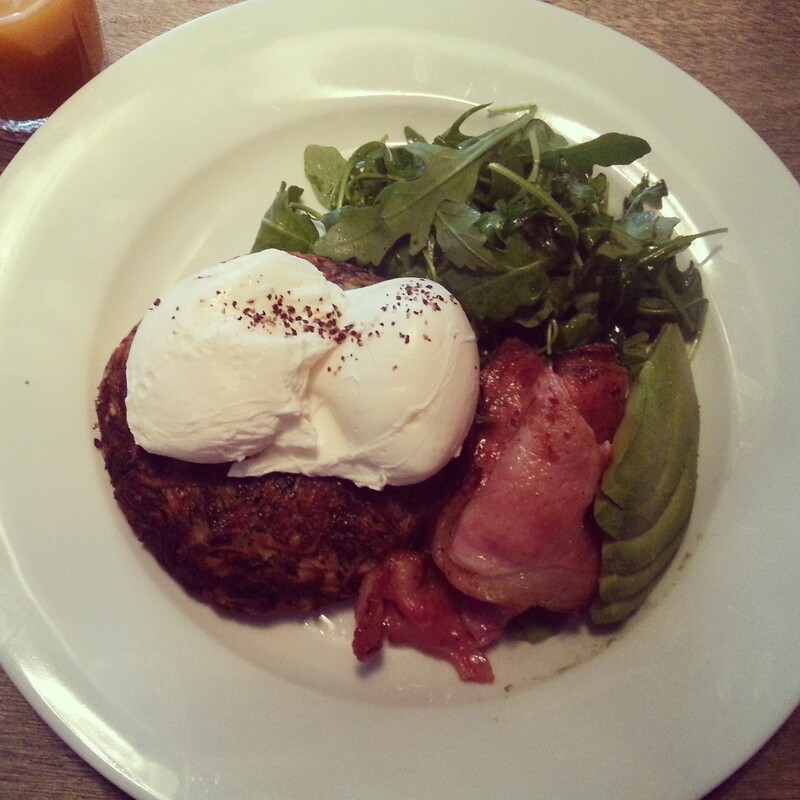 Tell me a potato and courgette rosti, bacon, avocado and a poached egg isn’t what you have been searching for. Ok so Mr Buckley is pretty much your dream date, right? Just in case you are still a little unsure whether or not to jump right in, let me seal the deal. Two words. Bloody madison. Say hello to bacon infused bourbon, tomato juice, lemon juice and chipotle spices. Not your type? Well maybe you and Mr Buckley were never going to work out after all. He’s mine.